There are very few risks and side-effects from the treatment. The laser light can travel through any skin color and only penetrates into the subcutaneous fat. It is safe to use even if you have had a hip replacement (as I have) or abdominal surgery (we don’t, however, want to place the paddles directly over scar tissue). I do tell all of my patients to make sure they eat something and drink lots of water before they do their treatment. 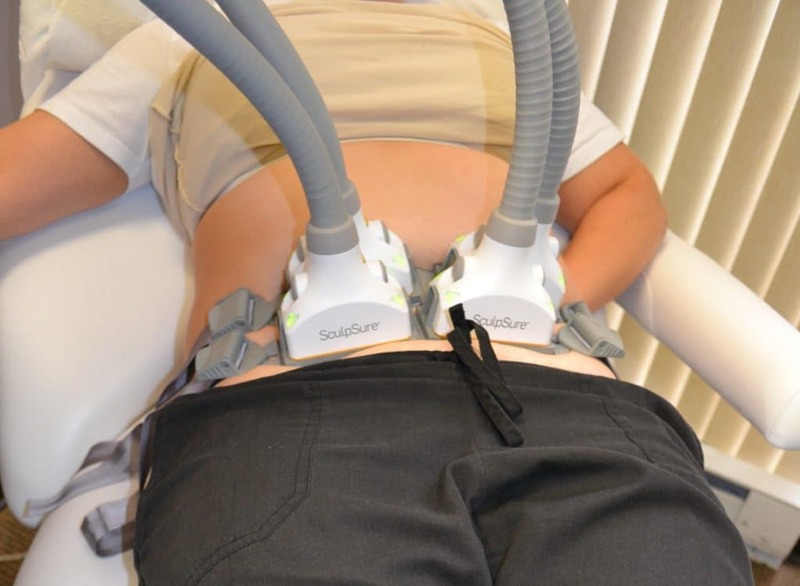 Sculpsure is a great addition to your diet and workouts to maximize your chance of improvement. I always stress to my patients, that there are no magic treatments. If you want maximum improvement, you will want to increase your exercise and improve your eating. Sculpsure has been shown to decrease your truncal fat up to 24% (this result will vary from person to person) but this still means you will have 76% of your fat left behind. Sculpsure is a great start and a great addition to a workout routine. Combining this with your new diet makes it more likely that you will see results sooner. It is important to know that doing Sculpsure now does not prevent you from doing more invasive procedures, such as a Smartlipo (laser lipo) or a tummy tuck later on if you feel you need a more invasive procedure to get your desired look. Questions about SculpSure? Please call my office at 703-406-2444 to schedule a private, complimentary consultation. ← How Soon After a Breast Augmentation Can You Work Out?